Aqua Sciences, 3 round 20 cartridge filter housing, electropolished 316 stainless steel, with 1-1/2 inch sanitary connections. Flow rate with 5 micron filters is approximately 18 GPM. Takes 222-20 fin style cartridges. 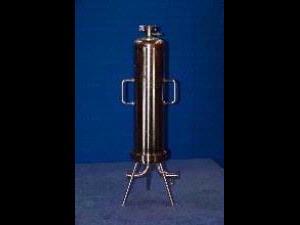 These filter housings are in excellent condition.